A college student contacted Dr. Bloxham with concerns about his thinning hairline. He was graduating soon and wanted to look and feel his age while starting this new chapter in his life. He originally asked for a “few hundred FUE grafts” sprinkled in the hairline. After reviewing his photos, Dr. Bloxham believed he was a good candidate for surgery, but recommended a larger procedure using the gold standard FUT approach. 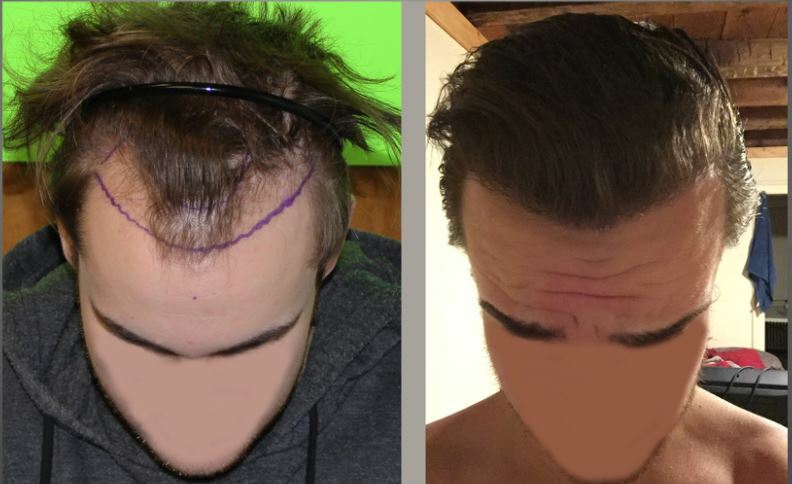 Using 2,000 grafts, Dr. Bloxham densely rebuilt the patient’s “frontal band.” The procedure went great, and the patient updated Dr. Bloxham 8 months later with excellent results. He now looks and feels his age, and is ready to conquer the professional world confidently. Left: Before surgery. Right: 8 months after surgery. To see more examples of Dr. Bloxham’s work, visit his HTW profile.